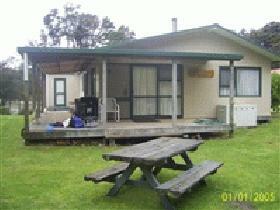 A Bach is New Zealand for a simple holiday home – in the South island they are also called ‘Cribs’. A Bach is a New Zealand term for a simple holiday cottage, often by the beach. Bookabach enables owners to rent their bach when they are not there, and those of us who do not own baches can book one. Mostly very simple, provide your own food and linen and leave it as you find it. It is a great system – Easter last year we decided to gather two parts of our family in Awaroa in the Abel Tasman National Park . Some drove up from Christchurch, we flew down from Auckland. We rented Jude’s Place, one of just over 20 family baches at Awaroa built in 20-30 years ago. No mains electricity – just solar light, gas stove, fridge, hot water and BBQ. There is a cupboard filled with games for the kids, and a cupboard of adult games and a huge range of books to read. In a shed outside there are some water toys, and ball games. We are set – we could happily stay for a week or two and not get bored. The only thing I would have liked is another kayak so a couple of us could have gone out for a paddle around the inlet.